This entry was posted on December 15, 2011, 11:01 am and is filed under Mortar. You can follow any responses to this entry through RSS 2.0. You can leave a response, or trackback from your own site. 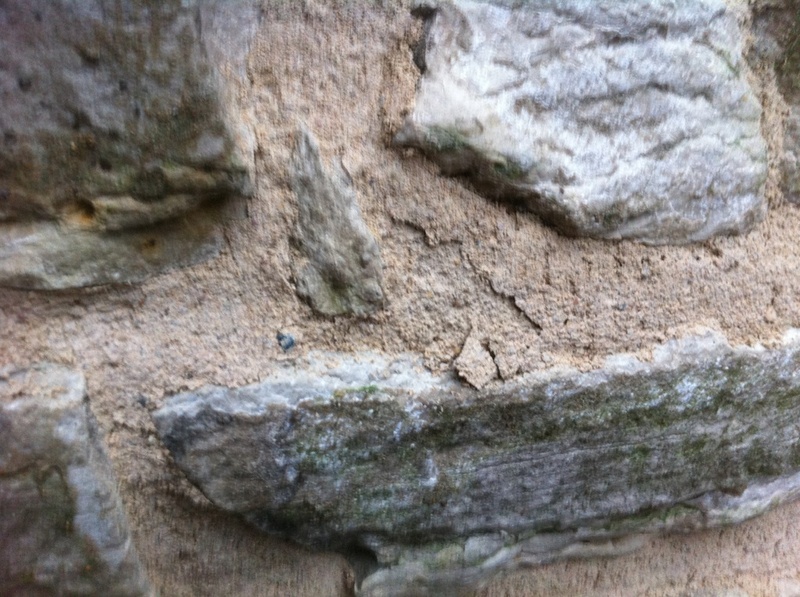 I am new to the use of hydraulic lime mortar since we are evaluatingrepairs to an1875 masonry building and like this blog. I question the need to use it on this masonry in the photo with stone and large joints. Wouldnt a Portland cement type N mortar be more effective, longer lasting and less costly, with these exposed joints? Will these types of joints weather well. I had a19th centuary stone house years ago that had been coated with stucco, they say, because owners didnt want to keep repointing the lime mortar joints. Bob thanks for your comment. The use of portland cement type N mortar is an option, but not on this project, as it is a preservation job that is listed on the National Register of Historic Places, and thus, we are governed in our decisions to match what was there in 1850 which is a lime mortar. The joints will weather well once they have had the opportunity to carbonate back to limestone. The wall condition on this project is one that the portland cement mortar used in a previous repair campaign has trapped the original lime mortar inside and had caused moisture to build up inside the wall cavity due in part to the hardness of the cement mortar. I was curious as to why the contractor discontinued heating 5 hours after the pointing work had been completed. He certainly did not have to maintain 75 degrees, but should have kept temperatures of the wall surface above freezing per masonry specifications. Although I don’t recall if there is any difference in the requirements for lime mortars vs. Type N mortars in terms of temperature maintenance after installation. If the mortar froze, the Owner should require the contractor to remove it and replace it under controlled temperature conditions now, or in the spring, summer or fall of next year, when heat would not be required. Great comments and insight Stuart. You are correct. The mason should have kept the walls above freezing (40 Degrees F and rising) according to most specifications for at least 48 hours after installation. But with lime mortar since it is cured using water it could certainly be much longer. Either way we learned our lesson on this project. I do remember that the crew attempted to raise the temperature of the stone (75 Degrees F) in the wall to allow for additional time in keeping the wall above freezing after the temporary heat was removed. Obviously this did not work. I believe the wind chill factor was the issue along with falling temperatures and entrapped mixing water. The frozen mortar was removed and re-installed the following spring and now is performing well. The wind chill would not have been much of a factor if the enclosure had been left in place and was strong enough to withstand the winds, which it should have been in the first place. None-the-less, as stated, a lesson was learned and that is the important part. Stuart, you are correct about the enclosure, but unfortunately the scope of work only involved a small test panel that was approximately 5ft. x 5ft. and the project was an out-of-town job. The enclosure was not left in place after the work was completed which further complicated the matter. Anyway, next time we will live by our own rules that we have created over the years with our better judgement and experience – and wait till Spring rather than bending to the pressures of the construction schedule.